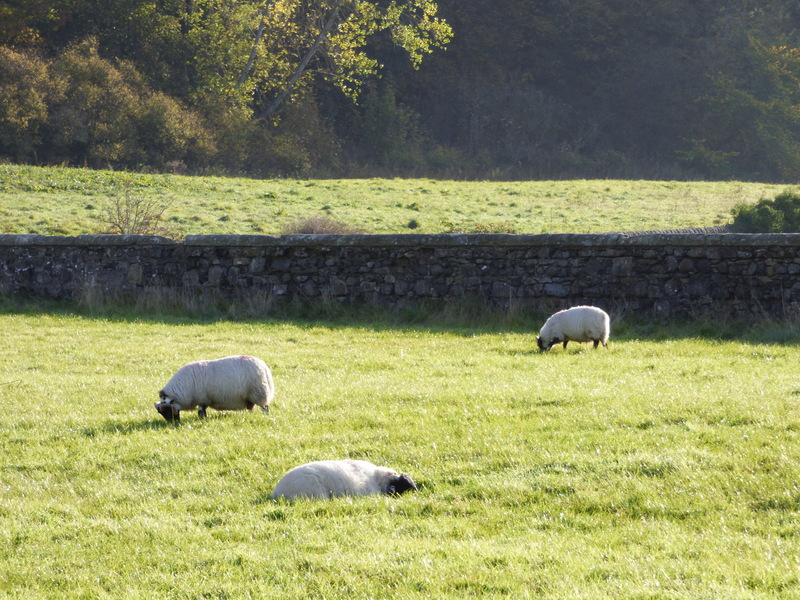 As I mentioned before, I did a couple of day trips out of Edinburgh with Rabbie’s Tours. The first was to St. Andrews and the Kingdom of Fife. 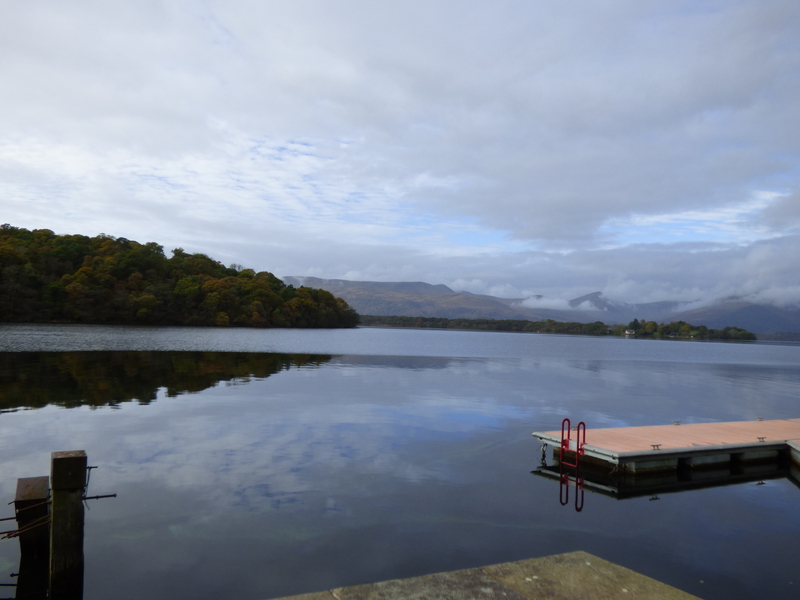 The following day, I went to Loch Lomond and Stirling. 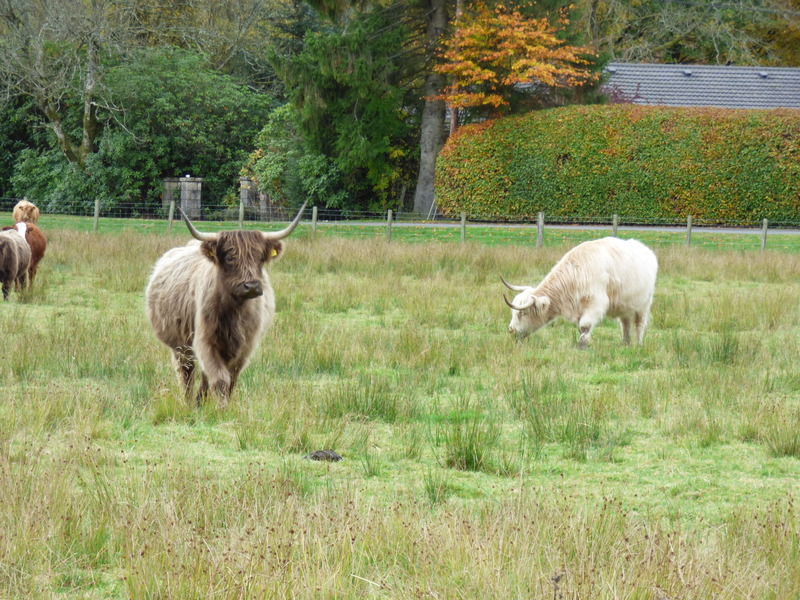 These two locations are actually part of the Highlands but still pretty close to Edinburgh and Glasgow, so they are a popular day trip option. 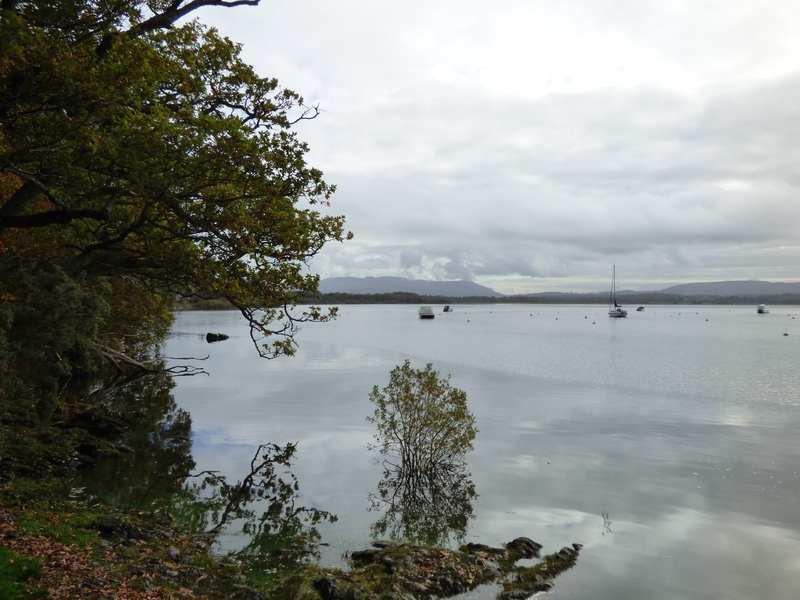 The weather forecast was looking good in the morning but rainy later in the day, so our tour guide rearranged the schedule a bit to give us decent weather while we were at Loch Lomond. 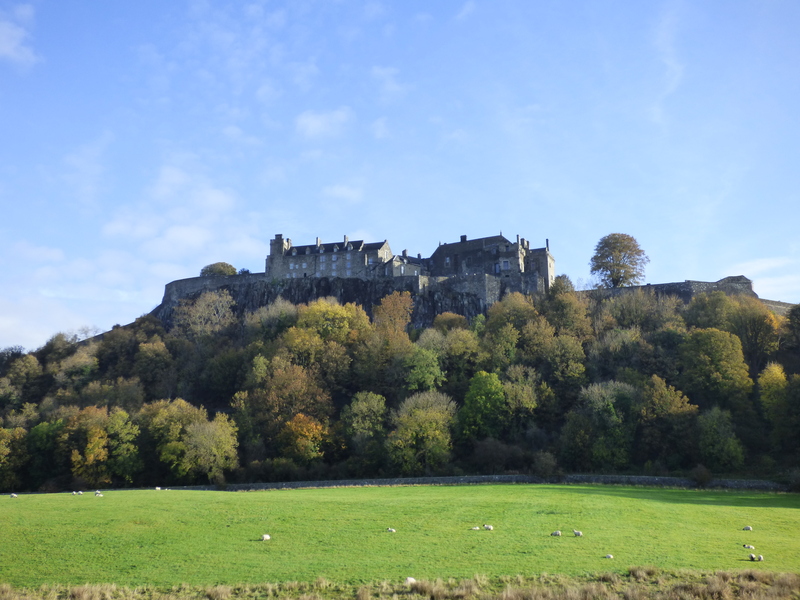 We therefore started out by going to Stirling, but just stopping below the castle to take in the views, then returned later in the day to visit the castle. 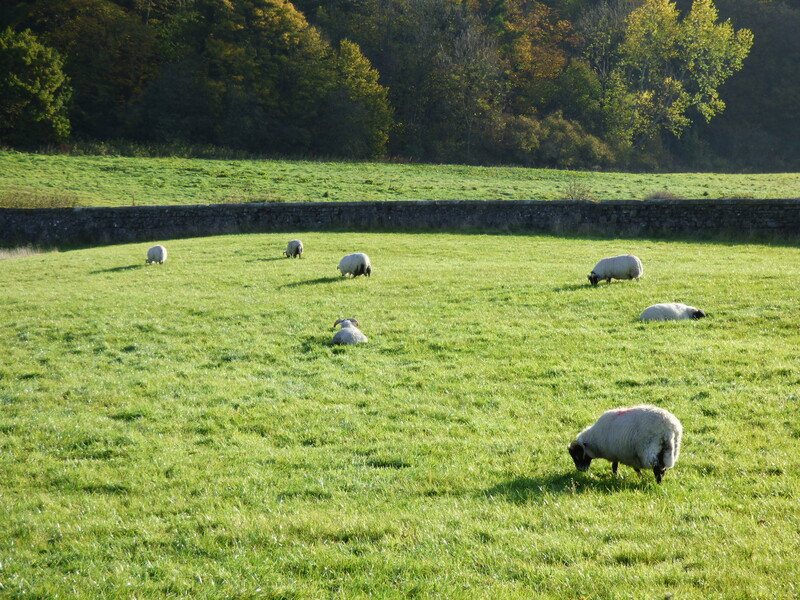 The sun was shining and the grass was very green below the castle. 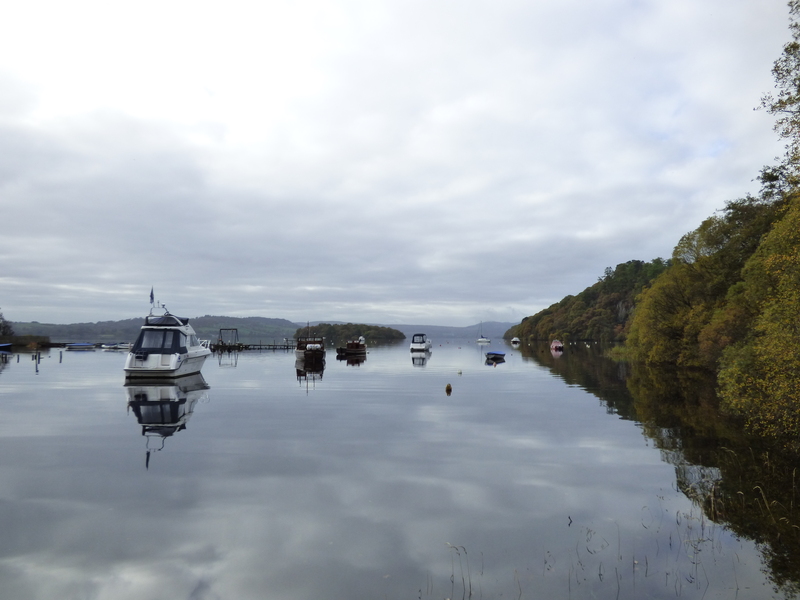 From Stirling, we went on to Loch Lomond, stopping near Aberfoyle. From where we parked, there was a trail that led along the lake and then some stones that led up a hill. Our tour guide took several of us up that hill, where there were stunning views of the lake below. 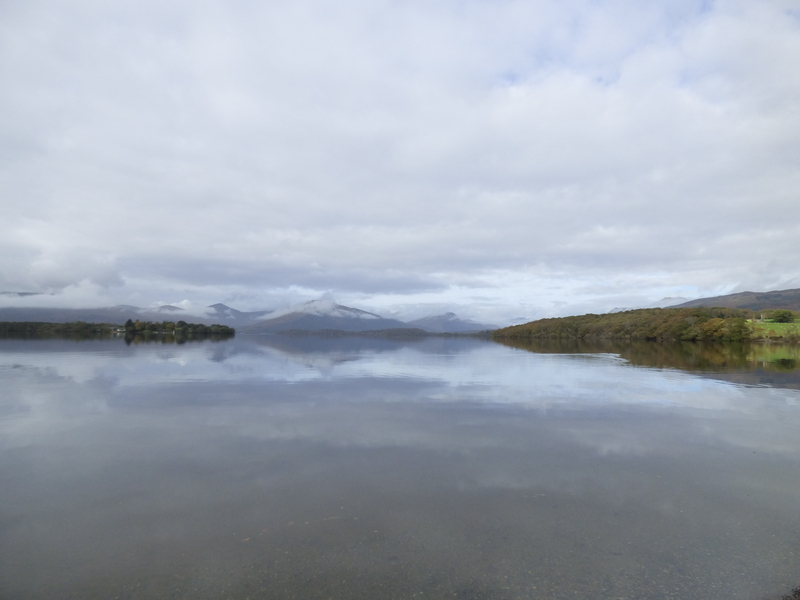 It was a slightly overcast morning, but we could see the lake quite well. It was so peaceful! 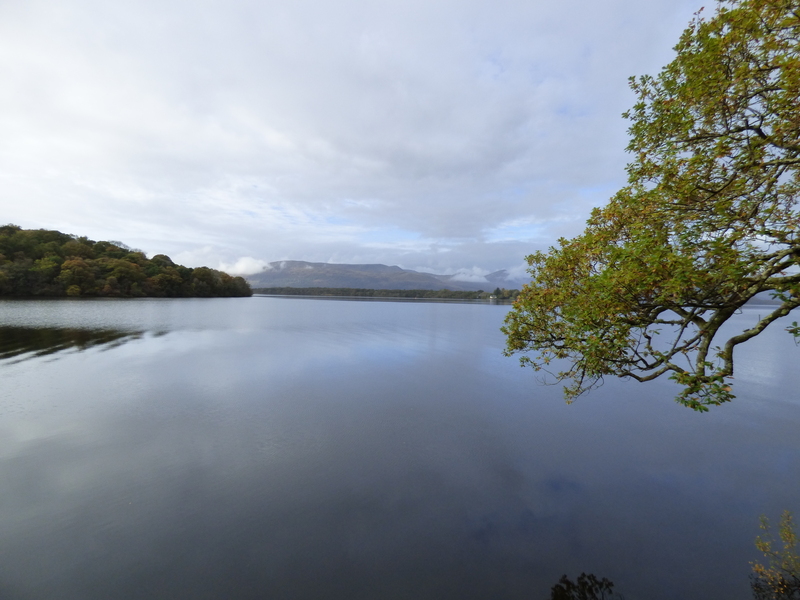 After enjoying the view from the top, we walked down the hill and then had time to enjoy the peaceful lake and walk around as we wished. 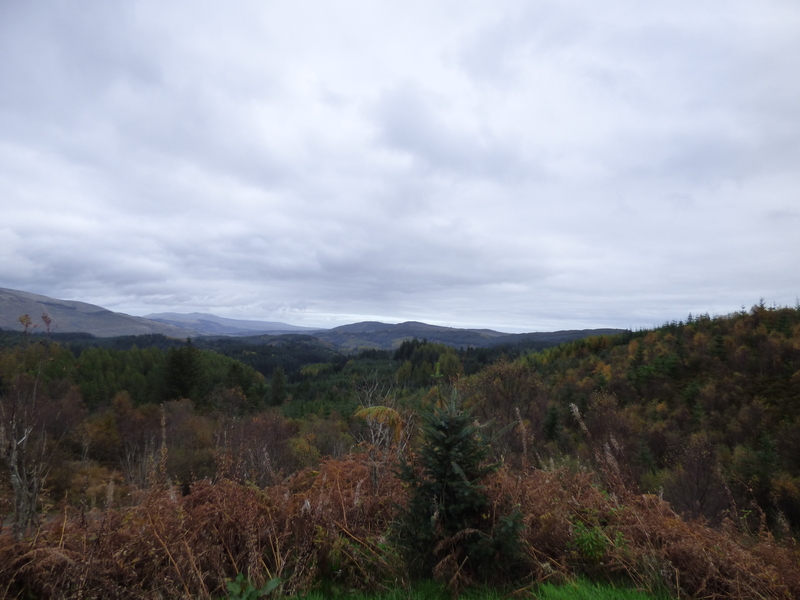 We stopped in nearby Aberfoyle for lunch (I grabbed a panini at Liz MacGregors), then took the Dukes Pass back toward Stirling. This is an incredibly winding road, but the views were wonderful, especially with the leaves changing colors. 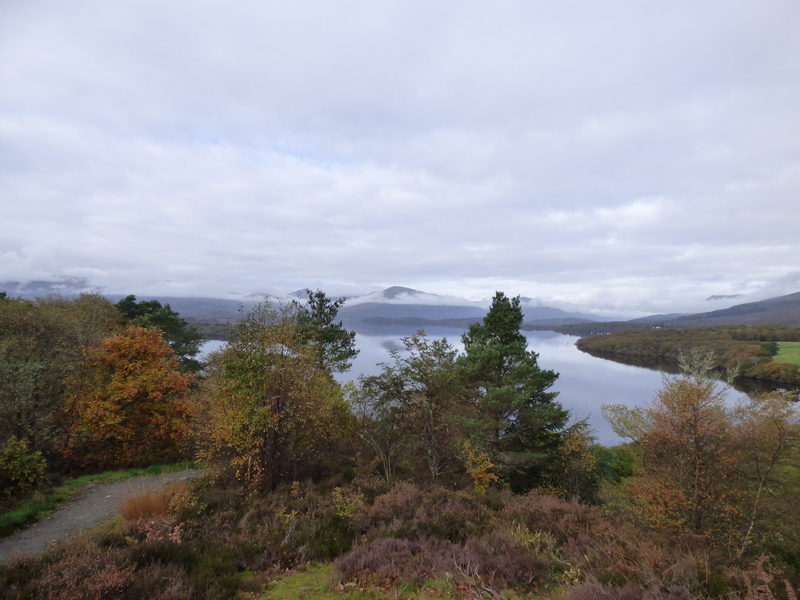 We could see the Trossachs in the distant. 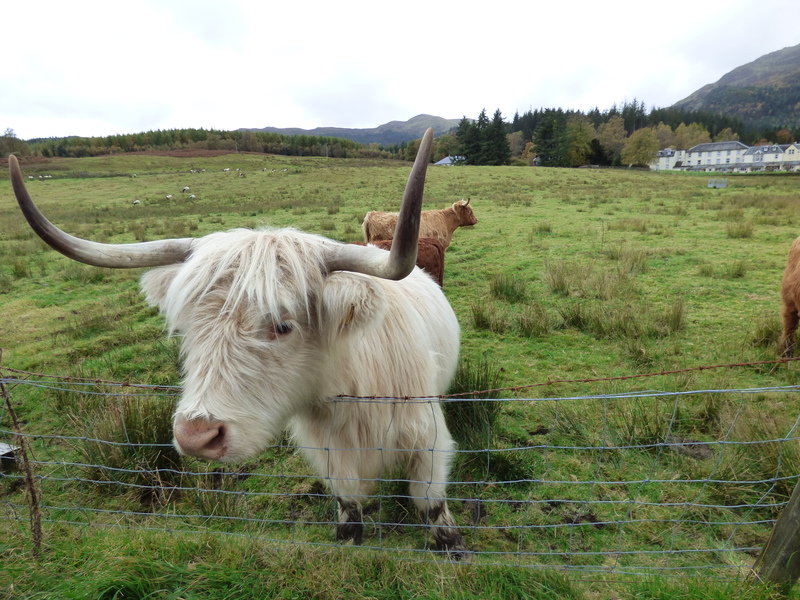 At the bottom of Dukes Pass, we stopped at a farm to try to get a view of some “hairy coos”, or Highland cows. We were lucky and were able to call the cows over to the road to take pictures and feed them some treats. 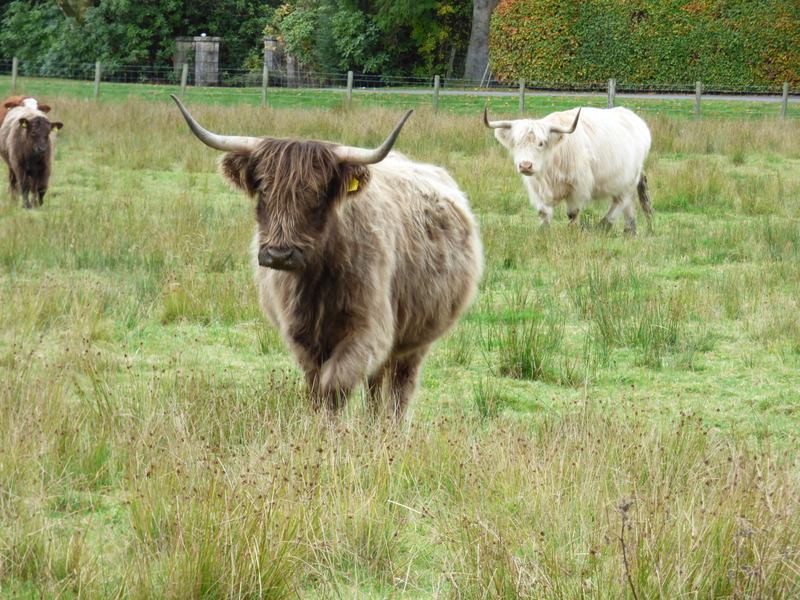 Though they are very hardy and look somewhat dangerous because of their horns, they are actually very friendly. 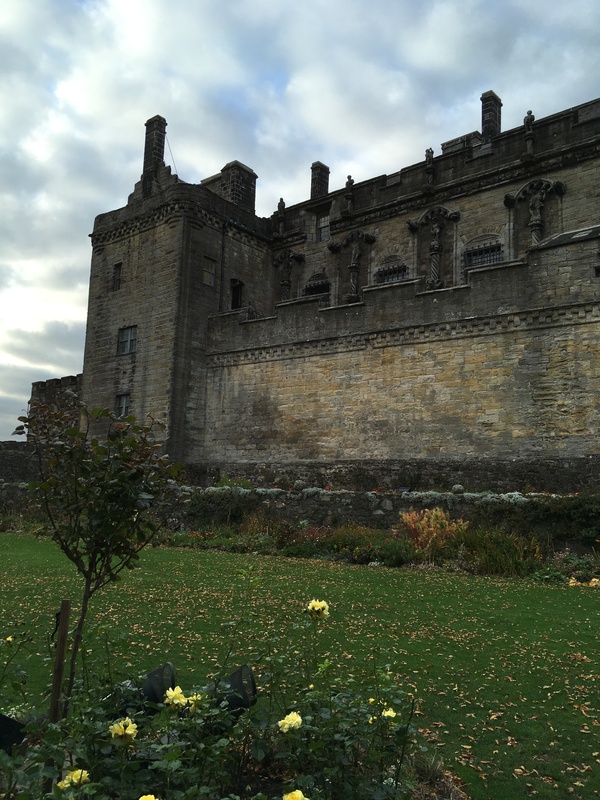 We went back to Stirling, and had a couple of hours to explore the castle. Stirling Castle is one of the largest and most important castles in Scotland. The castle dates from the 1100s, but most of the current buildings were built between the late 1400s and 1600. 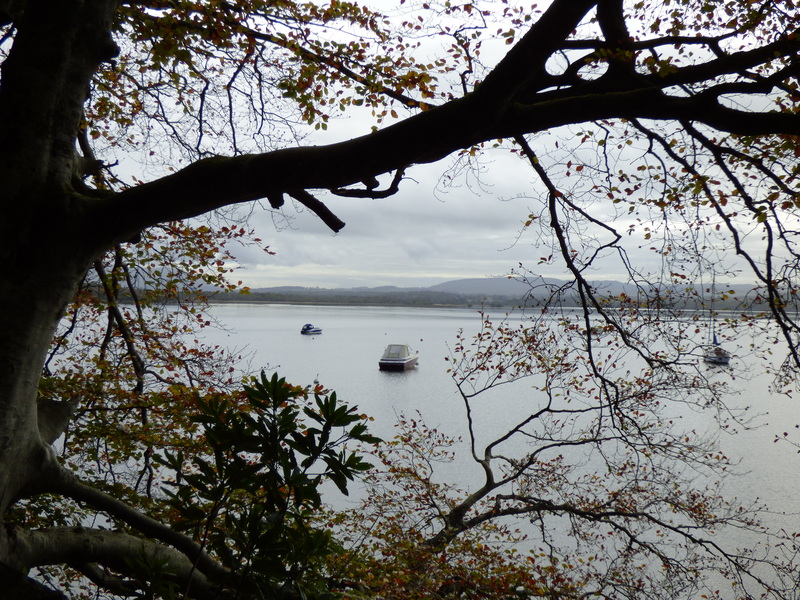 Built atop a crag and surrounded by steep cliffs on three sides, it had a strong defensive position and guarded a key crossing of the River Firth. Although it is a fortress, it has been used as a favored royal palace for centuries of Scottish kings and queens. Mary Queen of Scots was crowned here, as well as several other kings and queens, while others were born here. What is unique about Stirling Castle is that much of it has been restored to its former glory, so that visitors can see the castle as it likely would have been several hundred years ago. This has been done based on extensive and careful research and more renovations continue to occur. The rooms really are stunning, and there are several exhibitions showing what life would have been like in the past. One of the largest undertakings has been the recreation of tapestries that once hung in the castle. They are truly impressive! 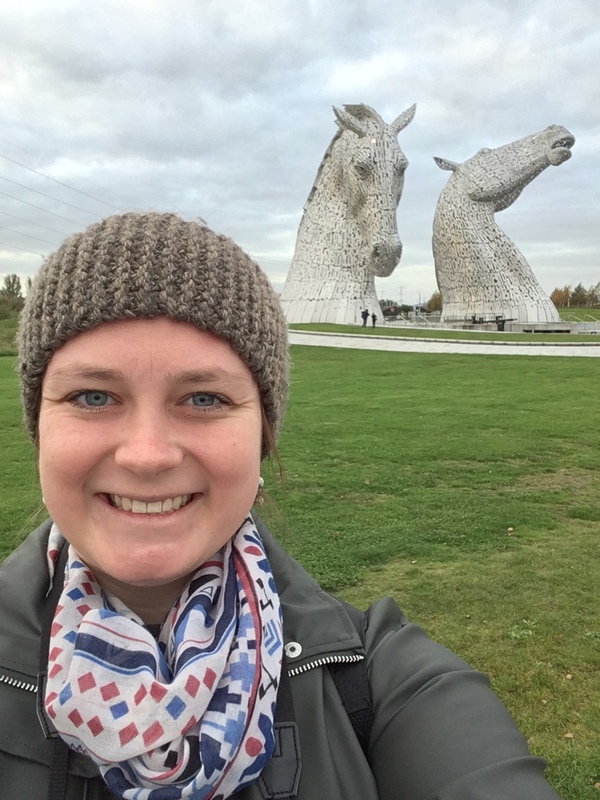 After walking around Stirling Castle, we headed back to Edinburgh, stopping for a bit at The Kelpies, massive metal sculptures just outside of Edinburgh. Keplies are mythological creatures from Scottish lore. 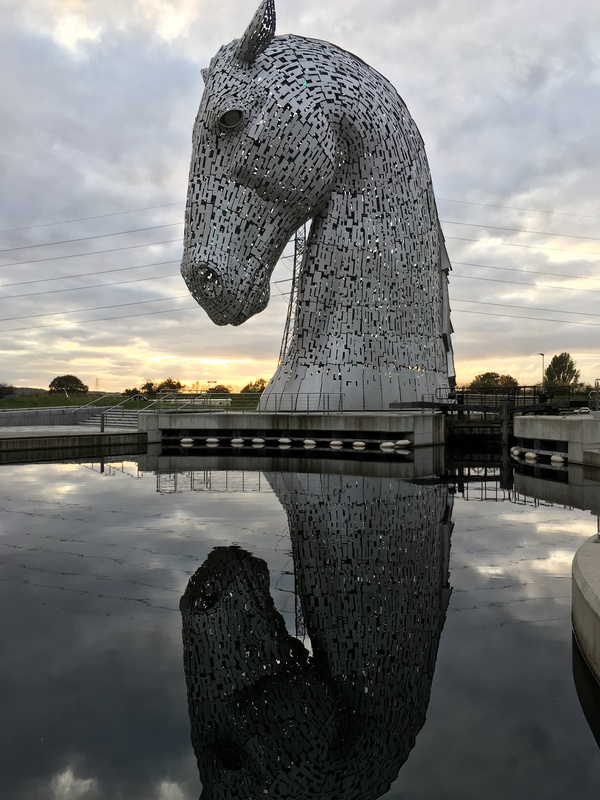 Though they look like magnificent horses, according to lore if you get on the back of a kelpie, they will drag you into the water and eat you! 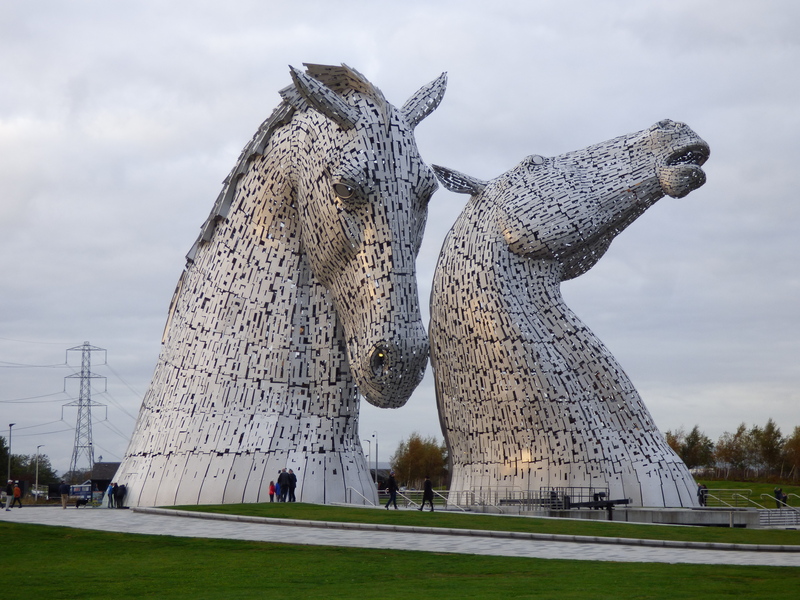 These sculptures are also an homage to the strong workhorses that were a critical part of Scotland’s industrial past. 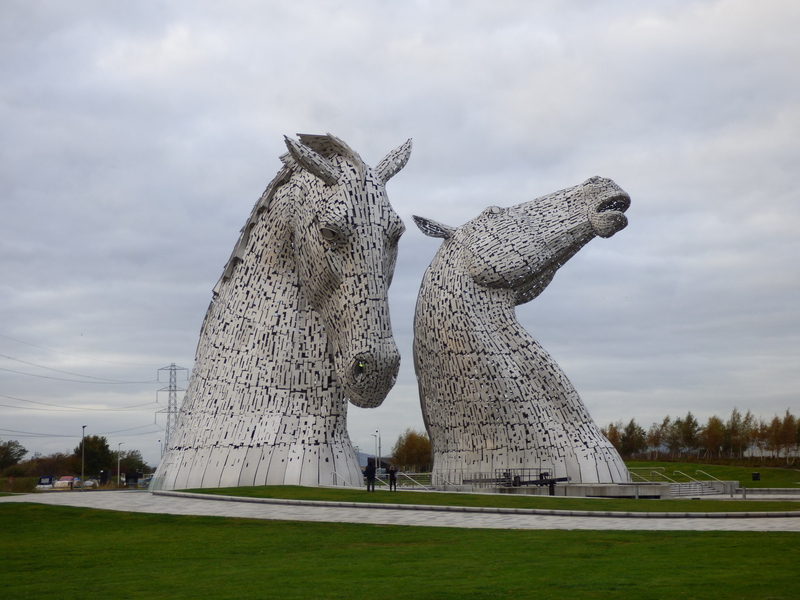 After walking around the Kelpies, we returned to the city for the evening. It was yet another beautiful day visiting sites!